Serving The City Of Sykesville! You Can Count On Spartan! If your Sykesville home is bogged down in excessive clutter, you may be feeling overwhelmed and not sure what to do about it. You might not want to strain your back or add wear and tear trying to haul unwanted items to the dump in your car. Fortunately, Spartan Junk Removal is here to handle all of your waste removal needs! From furniture removal to garage cleanouts to the heavy lifting you can depend on to save your back and free up space in your house, your satisfaction is always our top priority. Dedication To Customer Service: At Spartan Junk Removal, we are never done with any job until our customers are completely satisfied. You can also count on us to show up when we say we’ll be there, and even go so far as to put it in writing with our On-Time Guarantee. Unbeatable Prices: Speaking of guarantees, we will match or beat any other Sykesville junk removal company’s price. On average, our prices tend to be 20% less than our competitors! 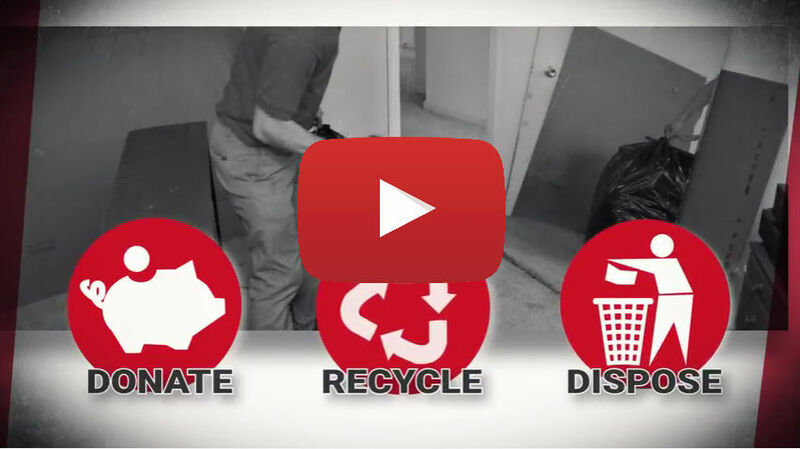 Responsible Junk Removal Practices: You might have unwanted items in your home that you don’t want to go to waste, and with Spartan, they don’t have to. We donate usable furniture, appliances, and other items to families in need, ensuring that your useful items end up going to good homes. We also carry out electronics recycling, helping you to get rid of outdated computers and TVs without sending them to the landfill. One call to our waste removal company can leave you with a home ready to be used for the things you really love. Find out how easy and affordable it can be; contact Spartan Junk Removal today!